At another, you can change various factors in a trigonometric function and see what kind of shape it creates. My son really loved that one each time we went there! And you can learn about ferrofluids – liquids that have a consistency similar to mayonnaise, and which include tiny needles that can be magnetized. If you put a magnet near them, they move and form extraordinary shapes. 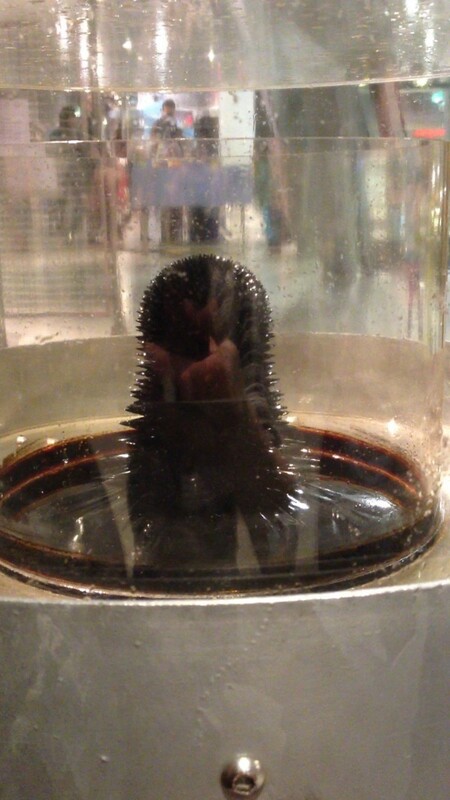 Ferrofluids are used in shock absorbers, clutches, and brakes, among others. I am glad we got to see the “Good Vibrations” exhibit last time we visited. 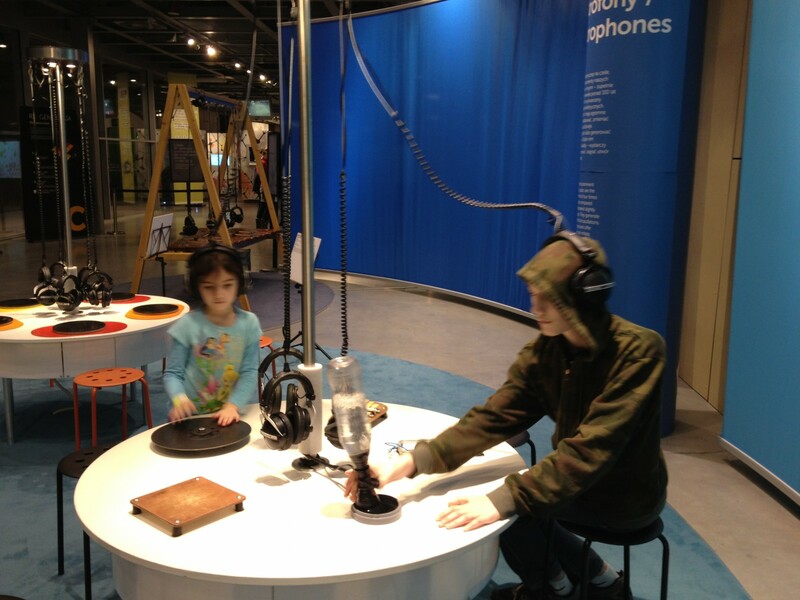 The exhibit asked “Is it possible to see a sound? To touch it? 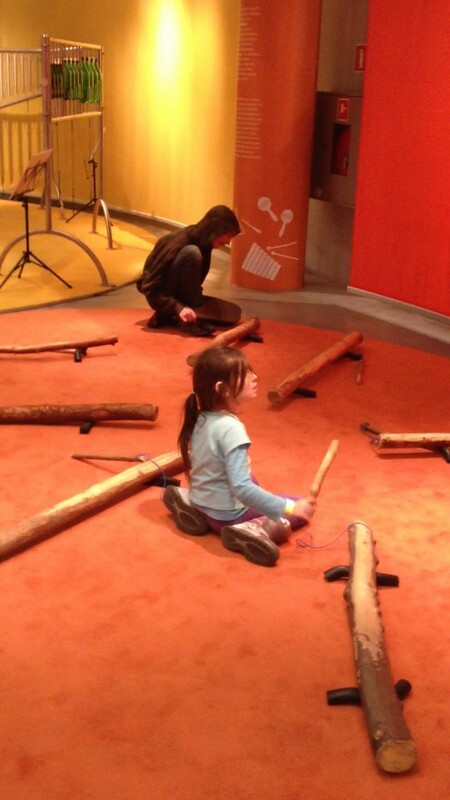 To step on it?” and taught the visitors about sound and acoustics and its relationship to math and physics. Take a look at this YouTube video in English for a general overview of what you can see at the Copernicus Science Centre. 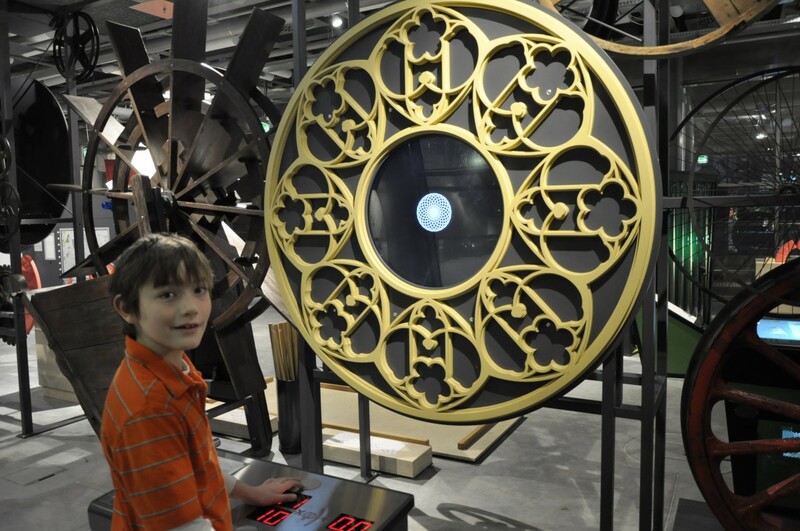 Because the exhibits change so often, I’m sure we’ll go to the Copernicus Science Centre next time we’re in Warsaw. I also want to finally make it to the Centre’s garden on the rooftop, and visit the Planetarium – two things which we haven’t seen yet. And don’t worry if you don’t have kids. The Centre designers thought about you too! The Centre’s website has a section written specifically “For Adults,” highlighting events and exhibits of special interest to grown ups. Full price tickets are 27 złoty, which is about $7.00 US or €6.15. If you’re a child, youth, a college student with a proper ID, or are over 65, your ticket will be 18 złoty (about $4). A family ticket, which admits a family of four, will cost 77 złoty or about $20 US. The price of the ticket includes a performance in the Robotic Theatre and entrance to the High Voltage Theatre. The movies in the Planetarium are 23 złoty for a 3D show, and 18 złoty for a 2D (these are full price tickets). Public transportation is the easiest way to get to the Copernicus Science Centre – it is located within brief walking distance from the Centrum Nauki Kopernik subway (metro) station. Warsaw public transportation offers several different types of tickets: timed, single-fare, one day, weekend, and so on. At today’s exchange rates, you can go all over Warsaw on its extensive subway, tram, and bus network for a mere $4.11 (a single day ticket is only 15 zloty). I hope you’ll get to see the Copernicus Science Centre some day! It is really fun! In the meantime, follow them on Instagram, and like them on Facebook. 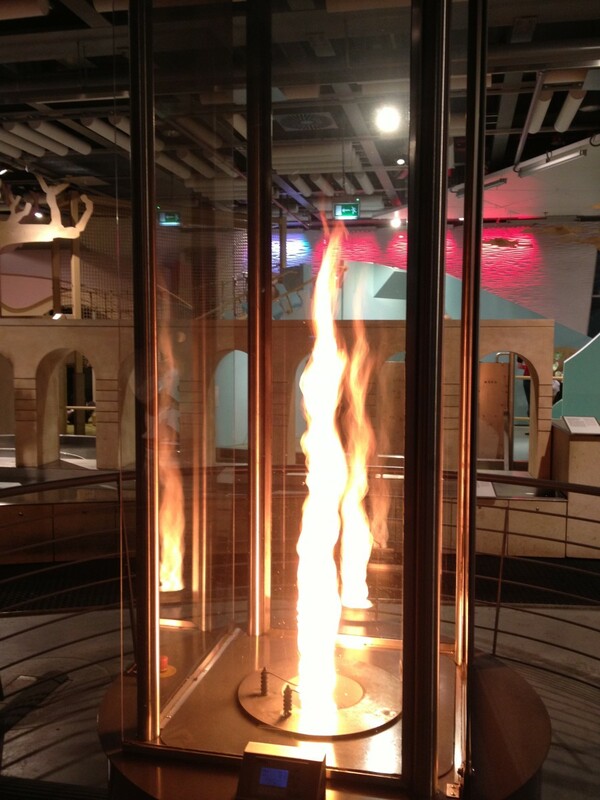 Visit the Copernicus Science Center in Warsaw, Poland to see a fire tornado, experience a simulated earthquake, or turn on a light bulb with a stair master. Since my family lives in Warsaw, I always stay either at my parents’ or at my sister’s place, but there are plenty of hotels, hostels, and vacation rentals in Warsaw. It’s a capital after all! If the link up is still open, feel free to add a link to one of your posts below, then comment on three linked up posts. And I welcome comments as well, of course! Previous PostWhat to do during the April Break? Go To the Cambridge Science Festival!Next PostHow much can you see in three-and-a-half days in Quebec City? That looks like so much fun! And you can experience an earthquake? That dovetails nicely with my post! Fairlie recently posted…Travelling to an earthquake prone region? Thank you for reading, Fairlie! There’s a platform at the museum that lets you experience what it feels like during an earthquake, with a video of a room showing what it would look like at various strengths. It was quite interesting. Would it be weird if I went without kids? Boyfriend and I would have a blast! You absolutely CAN go there without kids. I think they welcome adults as well, that’s why they have a separate “For Adults” page, showcasing events that focus on more advanced or in depth science. This is EXACTLY the type of place my family enjoys. I need to keep it in mind if we head over to Warsaw. It looks like so much fun. Thank you for reading, Michele! I do hope you’ll end up in Poland eventually. There’s plenty to see! This museum is exactly the type I like to visit with my family. It’s so might more enjoyable for all because it captures all age groups and we all learn something. 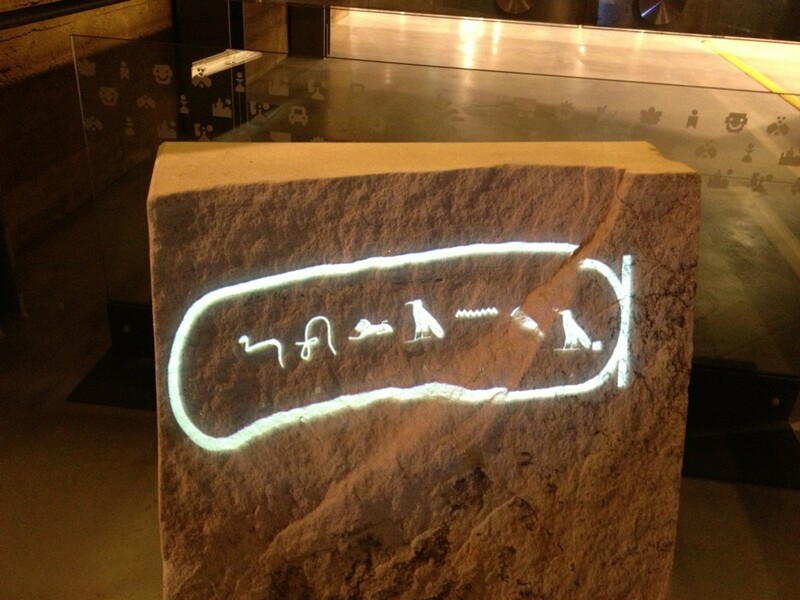 Your name in Hieroglyphics looks beautiful. Thank you for reading, Brenda! Yes, it’s a great place, and definitely worth visiting. I hope you’ll see it some day. Thank you for reading, Victoria! 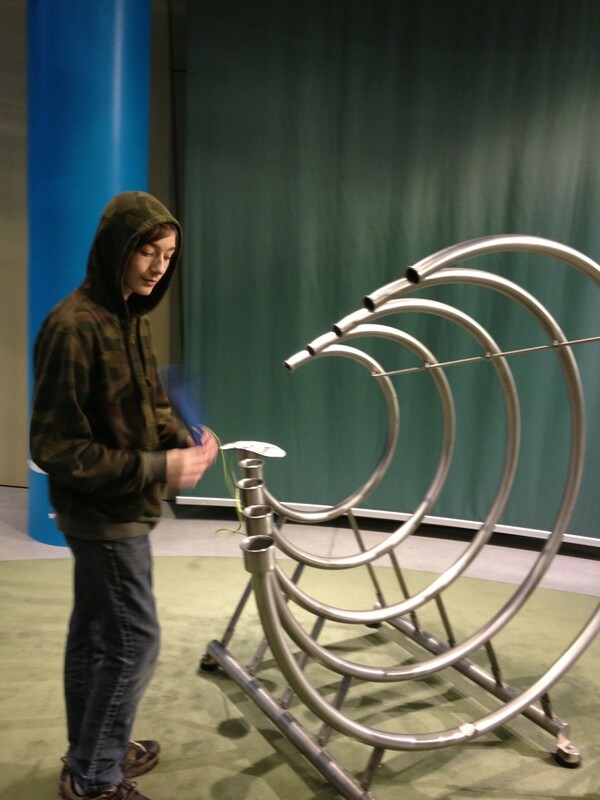 And yes, my son has always loved science, but I do too, so we always try to visit the local science museum wherever we are. 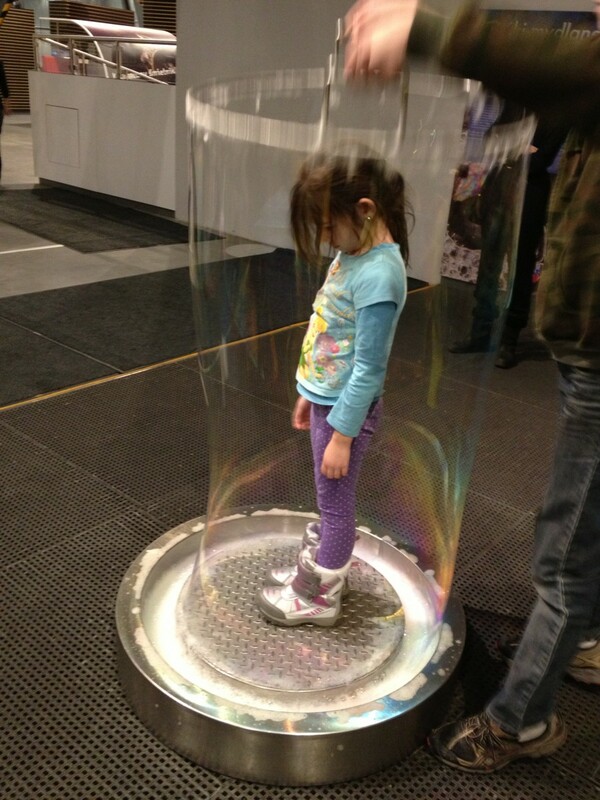 My daughter, on the other hand, is into zoos and aquariums. Thank you, Sarah! Glad you liked the post. What a great museum! I need to add this part of the world to my bucket list! Thank you for reading, Amy! Yes, you do need to go to Central East Europe and Poland some time! I think you’d be pleasantly surprised. We had hoped to visit Poland this year but didn’t make it. Hopefully it will be on our 2016 list. I’ll be back for more suggestions. This is a great family-friendly addition. Thank you for reading, Lesley! I do hope you’ll make it to Poland in 2016, and I hope I’ll make it to California next year too! We are always looking for ways to educate our kids on the road – this looks like a fun adventure! Thank you for reading, The Adventure Ahead! 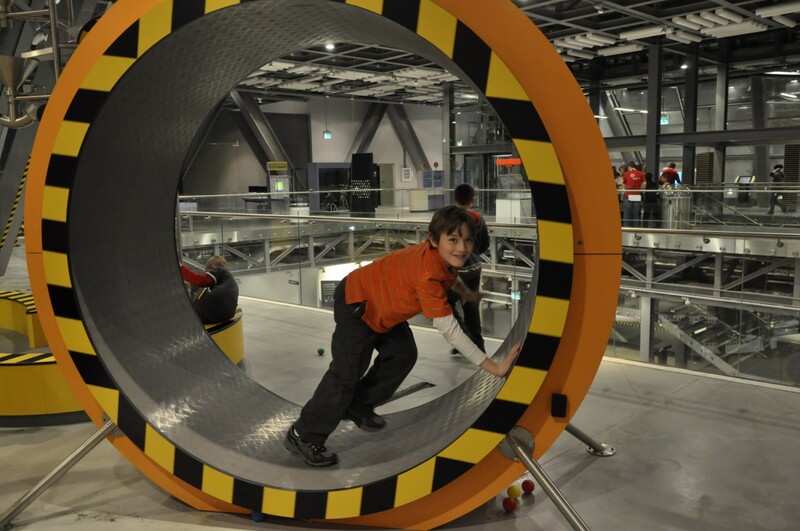 Yes, the Copernicus Science Centre IS a fun place! Thank you for reading, Beth! I hope you’ll get to see it some day. This sounds awesome! There’s a Children’s Museum here in Mexico City that is a little similar (they have the giant bubbles and the ferrofluids for example) but I would love to see the fire tornado! Sounds like a great day out. Thank you for reading, Katja! I hope you and your family will get to see this place some day. I have to be honest, we went to Warsaw 15 years ago and I thought we would never go back. This place looks so cool, we might have to reconsider. 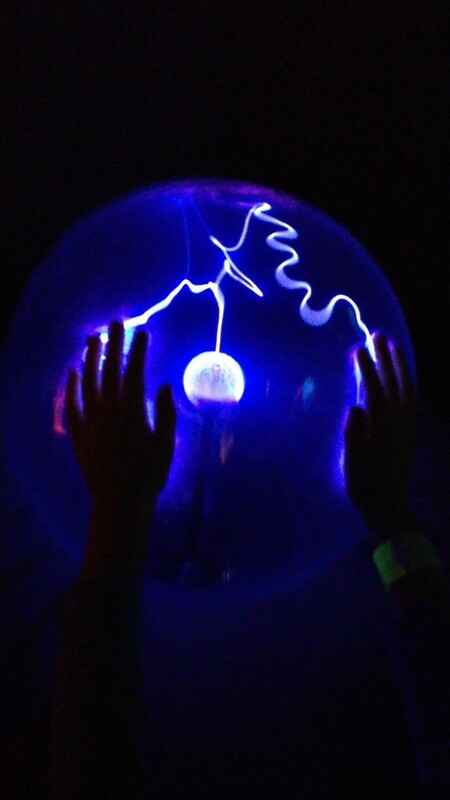 My kids would love this science centre and the hands on exhibits look really exciting! Thanks for sharing! What an excellent science museum. 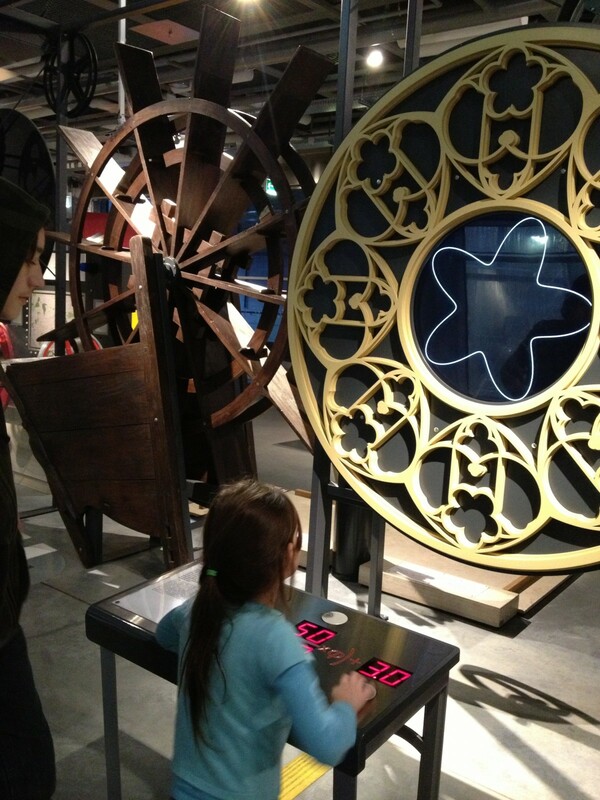 So many different interactive exhibits! Looks like a fabulous museum. 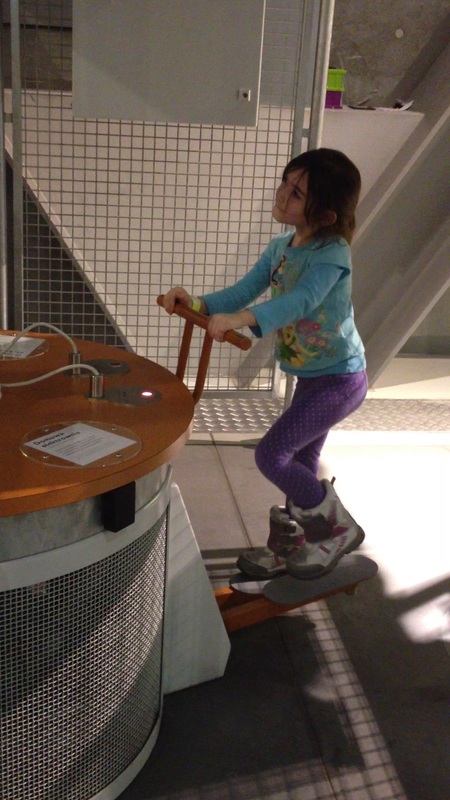 Never been to Poland, but have been to many science centers in the US and they have always been so much fun. How fun!! My kids would LOVE this! Great way to work a little education into a trip. My girls love science centers! Love all the hands on activities! 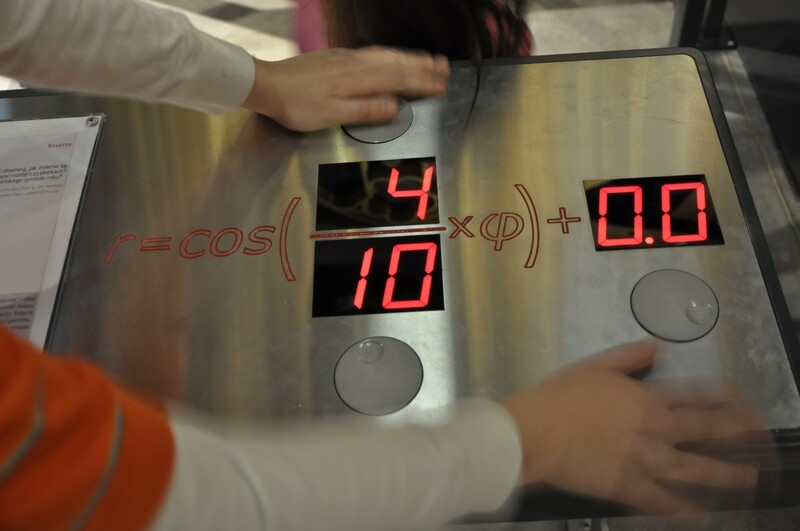 We love this type of hands-on science center. Fun and educational for children and adults! This looks like such a fun museum to visit for everyone. There looks like so much great and educational things to do. I especially like the fire tornado and spelling your name in hieroglyphics. I loved this place! spent over half a morning there and regretted I couldn’t do more. I went alone though and thought it would be more fun going with someone…because there were many times I wanted to nudge someone and exclaim how awesome science was!